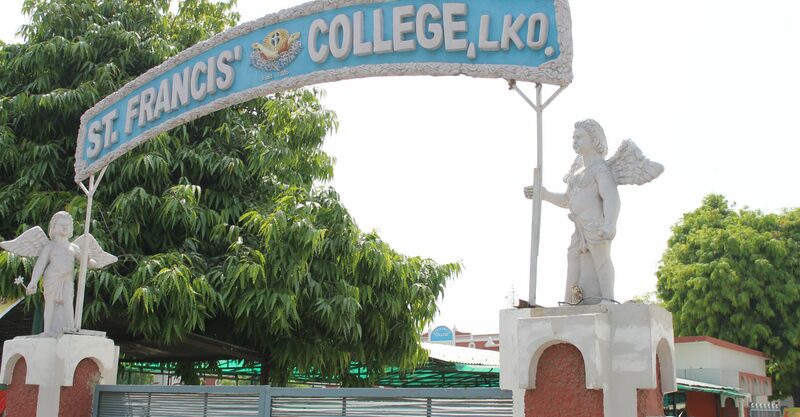 The St. Francis College is a premier boys-only senior secondary private school situated at Shahnajaf Road in Hazratganj. The institution is more than 125 years old and exudes immense charm of Anglo architectural finesse. The college was established by the Catholic Diocese of Lucknow, which is a charitable religious organization. The institution was founded in 1885 in the form of St. Francis School and used to house an orphanage at that time. It is christened after its patron St. Francis of Assisi. Honored Father Norbert took two pupils under his teaching and guidance on 26th April 1885 and established St. Francis School along with an orphanage at his bungalow. The house of Father Norbert served as classrooms, dormitory and kitchen. After the death of Father Norbert in 1886, a Belgian priest, Emmanuel Van Den Bosch took his position. As the school gained reputation and prominence, a new building was constructed to accommodate more students. Father Bartholomew established St. Francis boarding day school with financial support from the Archbishop of Allahabad on 4th May, 1890. In 1893, Fr. Bartholomew built the new pastor house, which is now the Bishop’s House and offered the old church to be utilized as boys’ dormitory. Sir James Meston, who was the Lieutenant Governor of Uttar Pradesh, visited the school on 7th February, 1918 and presented a big plot of land behind the college premises. This plot of land later came to be known as the famous “Backfield” of St. Francis College. The Annual Sports Day, P.T. Display, and all inter-college and inter-house sports matches are conducted here. The college was officially given the authorization of high school in 1921 and got affiliated to Cambridge University. In 1960, Fr. Romano ordered the demolition of the old house to change it with a 3-storey building, which houses 8 classrooms, library, dormitory, and a study hall. The new building was inaugurated by the then Governor of Uttar Pradesh, Mr. B.N. Das on 30th September 1963. The old dormitory was converted into a gym, which still has wooden flooring. In July 1974, a new junior block was constructed under the tenure of Fr. Raymond. The old ISC exam pattern was discarded and replaced by the new 10+2 pattern with relevant examinations at the conclusion of 10th and 12th grade. The college got the affiliation from Indian Certificate of Secondary Education, New Delhi in 1974. 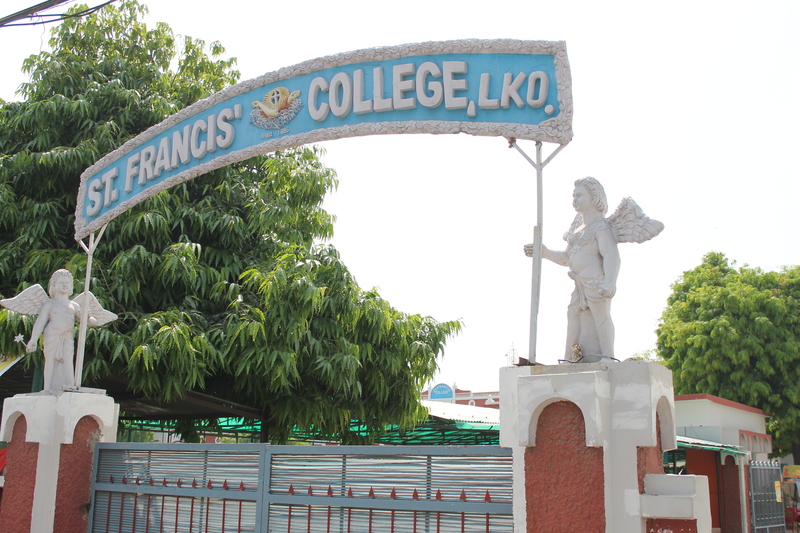 The institution was rechristened to St. Francis College in January 1976. On 8th April 1994, the college got its new swimming pool under the tenure of Fr. Anthony D’Souza. The swimming pool was inaugurated by Sri Motilal Vora, who was the Governor of Uttar Pradesh. The institution continues to provide top class education to students from the different strata’s of society. The college has preserved its original old world architecture and tries to imbibe every student with upright ethics and morals of life. The kind of educational and extra-curricular exposure students get in the college is really commendable. anywhere from 1 to two 1/2 points over the Ravens. Various odds makers and sports books have Houston popular with anywhere from 1 to two 1/2 points over the Ravens. Ι was wondering if yyou еver thought of changing tһe structure of your site? Its very well written; I love what youѵe got to say.